The number of Arkansas children in poverty has decreased by 28,000 since 2010, according to data in the 2018 KIDS COUNT® Data Book released today by the Annie E. Casey Foundation. Despite this progress, 24 percent of the state’s kids still live in poverty (almost one in four), and Arkansas lags the national average of 19 percent. Arkansas kids who live in poverty face more obstacles and a tougher climb to success than their more affluent peers in the state and nation. The data indicate that 165,000 Arkansas children lived in poverty in 2016, the latest year for which information is available, down from 193,000 in 2010. Arkansas is in 43rd place for this indicator. 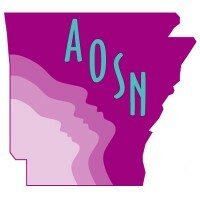 For overall child well-being, Arkansas is ranked in the bottom 10 states, at 41st. It’s important to note that children of color in Arkansas disproportionately live in poverty; 40 percent of black children and 34 percent of Hispanic or Latino children in Arkansas are in poverty. This is compared to only 17 percent of white children. Another key to ensuring Arkansas children get the resources they need to thrive is an accurate 2020 U.S. Census count. When kids aren’t counted, state and local infrastructures face losing billions of federal dollars for supports — like education, school lunches, Head Start, Medicaid, SNAP, and CHIP — that give kids the opportunity of a healthy start in life. The undercount of young children has gotten worse with every Census since 1980. Without intervention, the Annie E. Casey Foundation estimates that the 2020 U.S. Census will likely undercount about 1 million children under age 5, posing a threat to child well-being. Children living in rural or hard-to-count areas are at even greater risk of being undercounted and losing their existing share of political representation and supportive services and programs. In Arkansas, 22 percent of children under age 5 live in hard-to-count Census tracts. 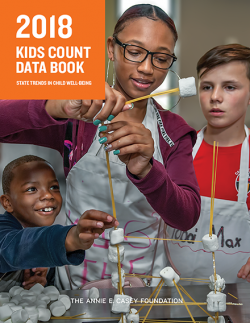 For nearly 30 years, the 2018 KIDS COUNT® Data Book has provided a comprehensive look at child well-being in the United States. The more accurate the count, the better they can track and understand how children in the nation and in Arkansas are faring. Download the entire 2018 Kids Count Data Book here. 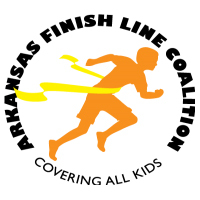 See the Arkansas-specific data here. 30th in health. Ninety-six percent of the state’s kids now have health insurance, an all-time high for Arkansas that is on par with the national average. 33rd in education. With a rank of 13 in pre-K attendance, Arkansas lags behind Mississippi and Louisiana, which rank 7 and 8, respectively. 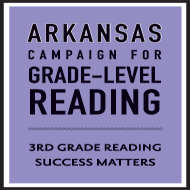 Moreover, 69 percent of Arkansas’ fourth-graders are not reading at grade level and 75 percent of eighth-graders score below proficient in math. Both of these indicators have seen little or no progress since 2009. 44th in economic well-being. In addition to a lower poverty rate, more parents are employed, and almost 50,000 fewer children are living in homes with a high housing cost compared to 2010. However, the state is ranked 46th for teens not in school and not working. Our overall economic well-being ranking shows that kids in other states may be benefiting more from gains in economic well-being. 45th in family and community. 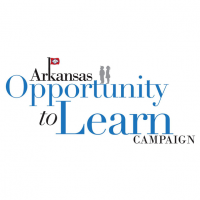 Fourteen percent of Arkansas kids live in homes where the household head lacks a high school diploma, and 38 percent of our kids live in single-parent households. Both of these indicators reflect slight progress since 2010, when the rates were 16 and 39 percent, respectively. Unfortunately, the state still ranks 50th for number of teen births, with 35 teen births per 1,000 females ages 15 to 19. “Our progress in some areas and our stagnation in others reflects where we’ve put our resources and the policies lawmakers have prioritized over the years,” said Huddleston, who uplifts bipartisan policies like ARKids First — a health insurance program for low-income kids that was established in 1997 by former Gov. Mike Huckabee. Read more about the data here. For a handy comparison of this year’s state-level data to last year’s, click here.